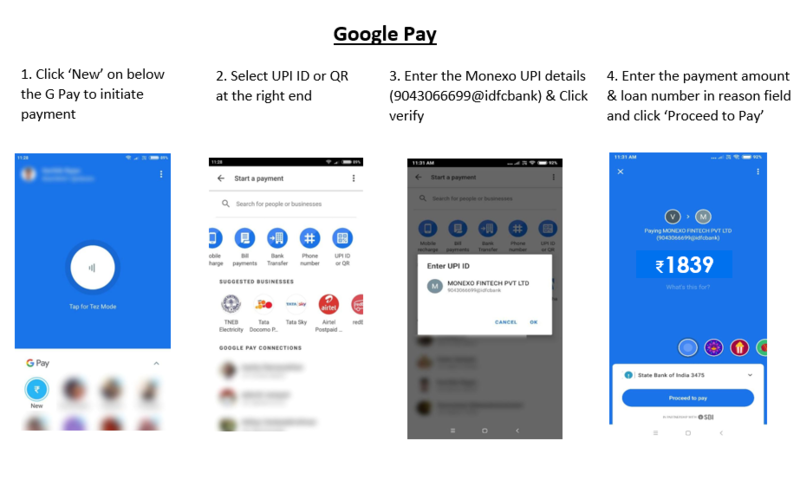 Home - Monexo Insights - How to do monthly repayment through UPI? How to do monthly repayment through UPI? 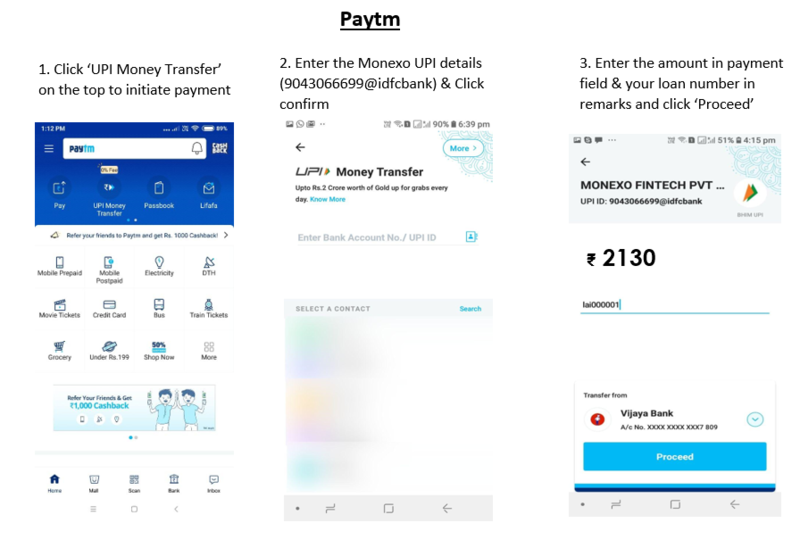 Unified Payment Interface" (UPI) enables all bank account holders to send and receive money from their smartphones, without the need to enter bank account information (such as IFSC code or account number) or net banking user id/ password. UPI has been built by the National Payments Corporation of India (NPCI). 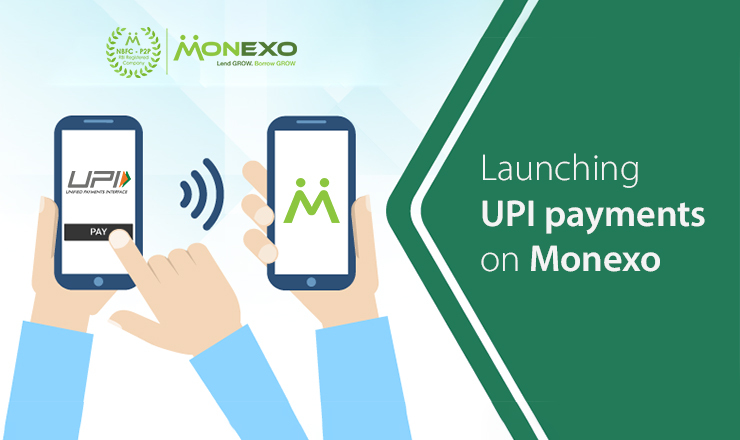 Monexo now provides UPI as an option for you to make your monthly loan repayments. 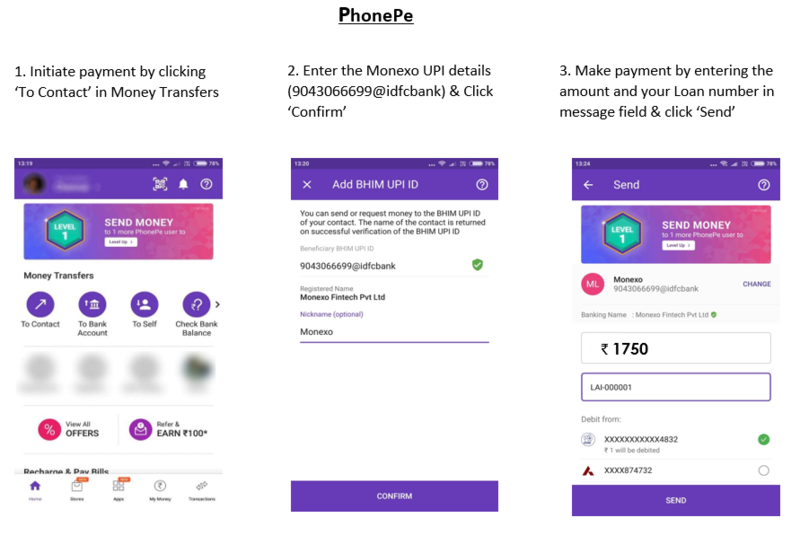 Here are few examples of how payment can be done through PhonePe, Paytm and GooglePay among others.